The Avett Brothers performing a Tiny Desk Concert. With all due respect to its terrific albums and kinetic, frenetic live shows, if The Avett Brothers could put on a three-song acoustic concert at every workplace in America, the band would be a world-beating colossus. For proof, take six minutes to don some headphones and listen to "Laundry Room," which opens this set at the desk of All Songs Considered host Bob Boilen. "Laundry Room" is a highlight of the rootsy, harmony-drenched rock group's forthcoming album I and Love and You, scheduled for release in September. 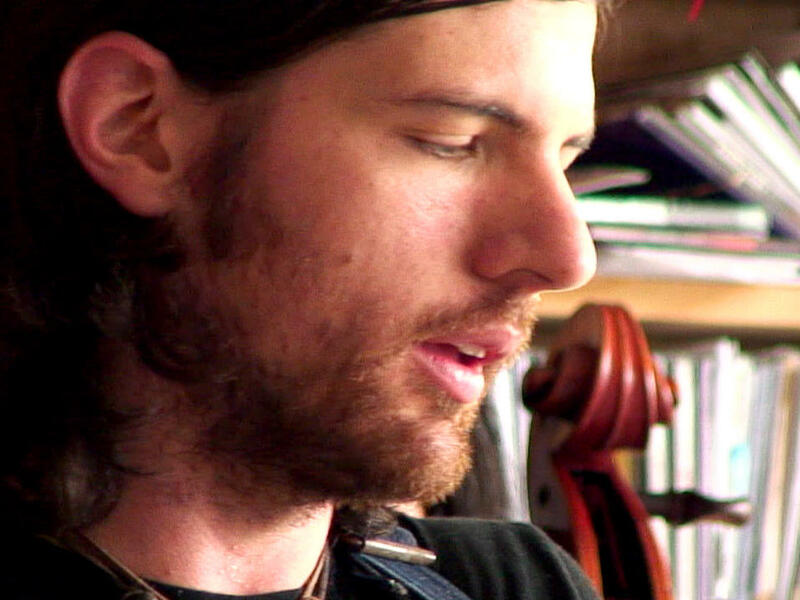 But if that song isn't peeking far enough into the future, the band -- Seth Avett on guitar and vocals, Scott Avett on banjo and vocals, Bob Crawford on bass and Joe Kwon on cello -- jumps even farther ahead with the as-yet-unrecorded "Down With the Shine." To close the set, the group finally looks backward with a lovely rendering of the ballad "Bella Donna," from last year's The Gleam II EP. It's no coincidence that Tiny Desk Concert attendance has been way up since this set was recorded on June 10. We'd plugged the show relentlessly around the NPR offices -- "The concert in town is sold out tonight! Tickets were $29.50! We promise you'll love it if you come! One of our favorite bands!" -- and we encountered nothing but slobbering raves and slack-jawed amazement when it was over. We've recorded five Tiny Desk shows since, and they've all drawn surprisingly large crowds; who can blame our coworkers for showing up en masse in hopes of reliving the Avett Brothers magic? Fortunately, they -- and you -- can relive it right here.